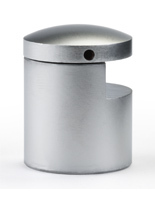 Metal standoffs are stainless steel for durablility and resistance to rusting. 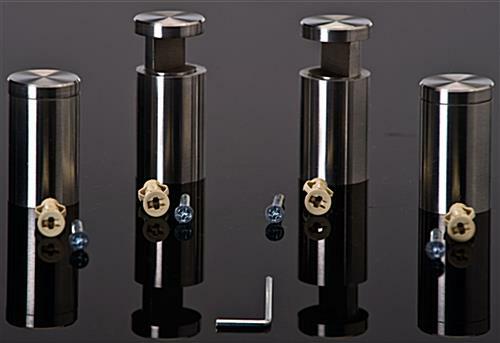 Set of (4) edge-grip mounts and screws for mounting on any door or wall. 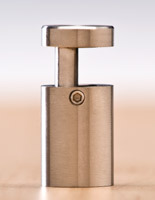 Metal standoffs display panels up to 1/2" thick. 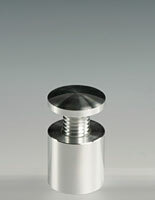 Set screws for tamper-resistant mounting. This metal stand off kit includes (4) stainless steel edge grip fasteners with security screw, screws, anchors and a hex wrench. Edge grip signage system should be securely mounted when used in public settings. 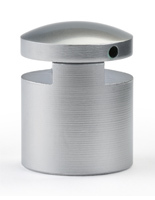 Each security post, metal stand off in this set incorporates a security set screw that precludes removal or damage to the display panel when mounted. Stainless steel is durable and rustproof and gives each sign mount a modern look. 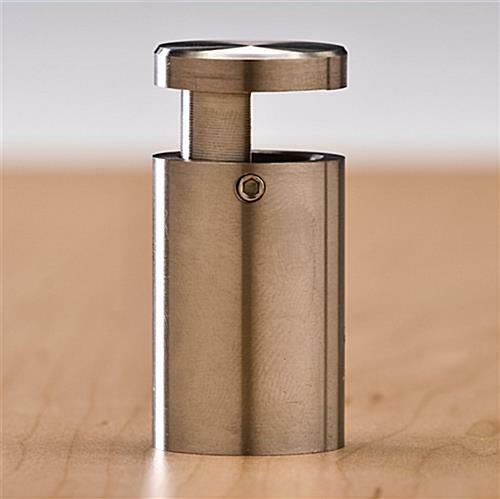 The clean lines created by the metal stand off, also known as a steel edge grip, will coordinate with any professional or commercial decor. A tamperproof wall mount system is frequently used in public or high traffic locations such as educational or government institutions and buildings, office parks, hotel and conference center lobbies and even stores. 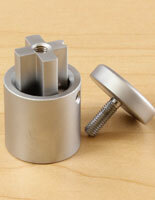 Each set of four tamperproof fasteners, metal stand off kit includes all hardware necessary for mounting. Any display panel between 1/16" - 1/2" thick can be used in this wall sign mounting system. 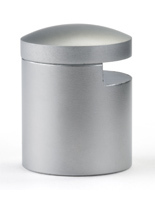 Each metal stand off has a 1" diameter to create a stylish support. The use of security fasteners like the hardware in this kit makes for worry free display panel mounting. 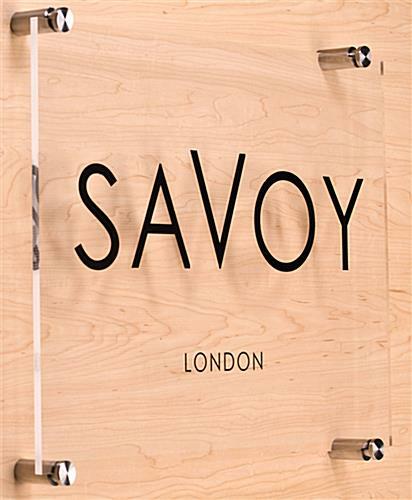 Each tamperproof edge grip, metal stand off is easily installed but reduces risk of damage to the sign mount. This wall system with security features can be used with any sign material up to 1/2" thick and can also be used as a shelving or mirror mount. 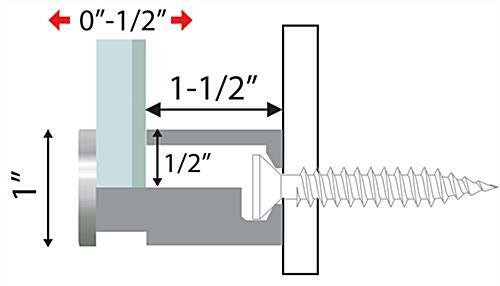 An edge grip metal stand off does not require mounting holes to be drilled in the substrate. This versatile wall mount system for display panel signage or shelving creates a dimensional sign that draw attention. 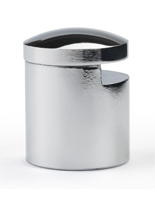 Each metal stand off in this kit is rust proof as well as tamper resistant.